Clay-King is proud to offer the brand new pottery line from Speedball Art Products. Finally an affordable solution to your pottery wheel needs from a company that prides itself on great customer service and high quality products. 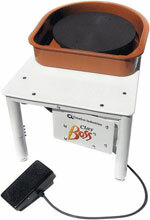 The Speedball line up includes the popular Clay Boss, Artista, Big Boss, and the Boss Elite SQ. 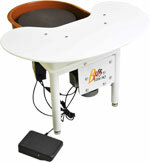 Find the right Speedball pottery wheel to match your budget at Clay-King.com!